Click the registration link below to become a member of AHS All Sports Booster Club! Prefer to register for membership via the paper form? Click the link to go to the registration form. Print, fill it out and send to the address on the bottom of the form. The AHS ALL Sports Booster Club (AHSASBC) supports ALL aspects of University Interscholastic League (UIL) sanctioned sports programs. The AHSASBC raises funds to purchase personal property and services to be used by student-athletes and coaches. This website will be the place to find all the pertinent information for all the UIL sports programs at AHS. We are looking forward to a GREAT year! 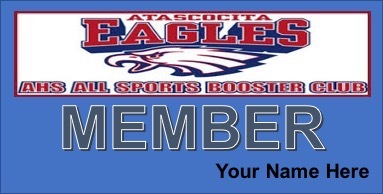 Follow The Atascocita High School All Sports Booster Club on Social Media! See the links below. Specializing in Temporary, Direct Hire, Light Industrial, Logistical and Administrative staffing solutions to Texas employers in the local Houston area. There are so many reasons we believe you should come to Robbins Chevrolet or Robbins Nissan to purchase your next vehicle or schedule your next service appointment. The first of which is that we have an outstanding selection of new and used vehicles right here in Humble. We also believe we have the best staff in the Houston area. Edible Arrangements® 395 in Humble, Texas first opened in March 2006. Ever since, we’ve been helping people in our local community celebrate all kinds of occasions – big and small.